When trouble strikes in the form of a ceiling leak induced water damage situation, sewage backup exposure, mold contamination, fire outbreak, or even a local flooding disaster, there is nowhere better to turn for expert repair and rejuvenation services than the water damage Nashville team with 911 Restoration Middle Tennessee for help. Additionally, beyond their ability to handle anything in the way of restoration, the water damage Nashville team also know that the most effective way of preventing any situation from escalating is to get on top of it quickly. This is why the water damage restoration Nashville crew will arrive within 45 minutes of your call to start eliminating the standing issues. Moreover, to provide people with the best services in the business, the water damage restoration Nashville specialists are also available 24/7/365 to take on all projects at all times. If your home or office location is already amid a disaster of any kind, then contact our experts with 911 Restoration Middle Tennessee for immediate assistance with all of your concerns today! Taking on the difficulties of a water damage restoration Nashville challenge is a task best left to professionals, and this is why the technicians with 911 Restoration Middle Tennessee are IICRC certified to handle anything in the world of water damage. When a home or business experiences a pipe burst, toilet overflow, water heater malfunction, or any other form of flooding, it requires immediate attention. This is why our experts are always available to take on projects day and night no matter how large or small the situation may be. Even if homes have hoses or pipes rupture in the middle of the night on a holiday weekend, the water damage restoration Nashville team will be there quickly and with all the proper tools for the job. Don’t let your home or business location fall victim to the ravaging effects of a ceiling leak, sprinkler failure, or any other means of water invasion. 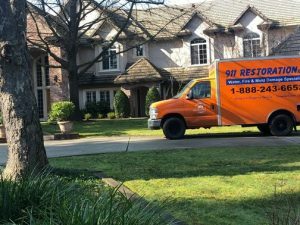 Contact our water damage restoration Nashville specialists with 911 Restoration Middle Tennessee for all the help you and your home need today! Aging infrastructure, changing climate, and human error all have the ability to send waves of category three water flooding into your home in the form of a sewage backup at any time. Our sewage backup cleanup Nashville experts have seen and solved all manner of different challenges in the form of sewage encroachment in their time, and this is why they know exactly what to do in every one of these situations. When a sewage backup does occur, it usually comes in the form of a sewage backflow valve failure, or even a toilet overflow, though no matter what face it takes, it must be eliminated by experts immediately. Sewage contains a host of potentially deadly pathogens and bacteria that can greatly affect the health and well-being of anyone who comes into contact with it, and this is why our technicians suggest not attempting any kind of cleanup in these situations on one’s own. It’s best to stay safe when it comes to category three issues, and this is why our sewage backup cleanup Nashville technicians suggest you contact them at 911 Restoration Middle Tennessee immediately today! Taking on the challenges that are presented by a mold contamination or a fungus outbreak require not only skill and a willingness to get dirty, but also training and expertise with fungus and black mold spore proliferation prevention too. This is crucial because mold spores can travel extremely easily through the air, and if a colony is disturbed it can infect the rest of the home with more mold. 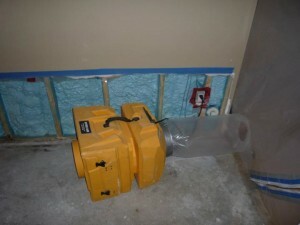 To prevent such scenarios, our mold removal Nashville experts use all of the proper mitigation techniques and quarantine procedures to eliminate the ability for the mold to spread. If your beautiful home or office location is beginning to smell musty, or if you have recently had a spill of some sort, then contact our mold removal Nashville experts with 911 Restoration Middle Tennessee for immediate relief to breathe free again today! Fires in homes and businesses alike have the ability to not only do serious damage to the structure, but also to the mental state and well-being of those occupying the property. Knowing this, our fire and smoke damage Nashville experts get straight to work in solving all of the challenges that these scenarios produce. One of the most prevalent forms of damage in a fire is acidic smoke which can travel all throughout the home through the ventilation system and land on any surface to create a toxic coating. The toxic fumes and smoky odor that is created by a house fire can be a serious health risk, and this is why even if your flare up was a small fire, it still needs professional attention. Don’t risk harming yourself or your loved ones after a structure fire. Contact our fire damage Nashville team with 911 Restoration Middle Tennessee for all the help your home or office needs to look and feel like new again today!